All components of your business’s kitchen are vital to ensure everything is running smoothly throughout your daily food service. All parts of your kitchen have their own important role to play out. Among them is the commercial freezer, and it is arguably the backbone of your kitchen appliances as it’s relied on to keep all your food products as fresh as possible without allowing any of them to spoil. That’s why if any problems are noticed, it’s very important to get in touch with a commercial freezer repair Orlando company. All Temp, an expert in commercial freezer repair in Orlando, is always available to help your business get through any commercial freezer issue, even in emergencies. Our trained professionals know how to solve any problem that may be affecting your freezer. It’s our job to ensure all your needs are met, even in cases when the problem may not seem that bad. We always provide the best care for your equipment because we understand how valuable it is to your business. Letting a minor problem develop into a major one can only increase your chances of paying more for repairs for something that could have been prevented. Once any issues are fixed, All Temp highly recommends that owners should take proper care in the maintenance of their commercial freezer. Routine inspections and cleaning of the freezer can increase how long your freezer will last before any repairs need to be done. 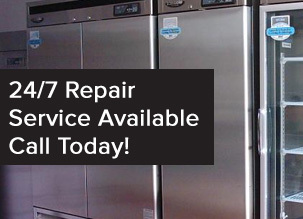 Constantly paying for repairs can end up being more expensive than buying a new freezer altogether. That’s why it can’t be emphasized enough on how important it is to properly take care of your commercial freezer. All Temp aims to leave all their customers satisfied that their commercial freezer is up and running at its best so your business can continue without any further problems. All Temp’s commercial freezer repair Orlando division provides maintenance and repairs for any type of commercial freezer. 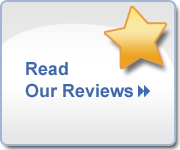 Please contact All Temp at 407-857-7800 (Orlando Area) or 813-630-9400 (Tampa area), and we’ll fix whatever problem you have.